Choosing a builder who is right for your project can be the difference between a massive headache and an enjoyable, hassle-free project. It’s important to know what to ask your builder. The following checklist will provide a good starting point. Is an SMSF Property Loan for You? Your superannuation is one of the most important, not to mention tax efficient, ways to save for the most rewarding stage of your life – retirement. Unfortunately, almost half of Australians aged between 45 and 64 do not feel confident they have adequate funds to do what they want in retirement. http://www.indigofinance.com.au/wp-content/uploads/2017/03/default-v2.jpg 198 300 wsadmin http://www.indigofinance.com.au/wp-content/uploads/2017/01/indigo-finance-logo.png wsadmin2015-02-11 01:55:062017-03-09 02:42:49Is an SMSF Property Loan for You? 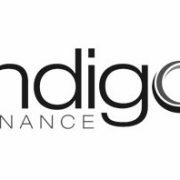 http://www.indigofinance.com.au/wp-content/uploads/2017/03/default-v2.jpg 198 300 wsadmin http://www.indigofinance.com.au/wp-content/uploads/2017/01/indigo-finance-logo.png wsadmin2015-02-04 01:52:352017-03-09 02:42:52Can We Manage a Mortgage and a Baby?